Silver Springs, MD- Africa Gives Back International (AGBI) hosted their 3rd Annual Gala on Saturday July 14th. 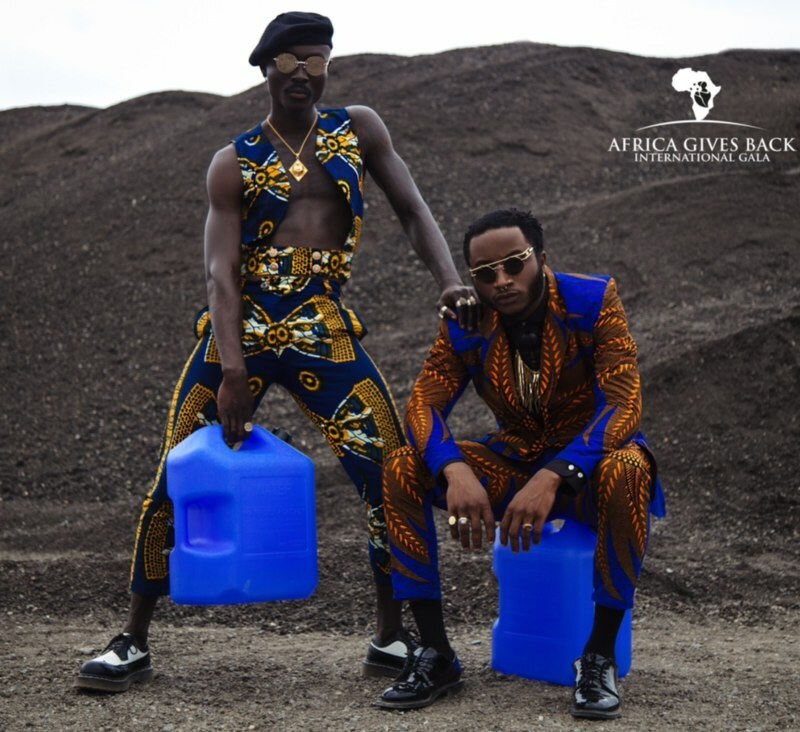 This year’s theme was “Water is Life.” The generous charitable organization is not only helping to supply the communities in Sierra Leone with clean water, This charitable event gave us LIFE with these African culture inspired outfits that are dripping in finesse. AGBI is breaking the false narrative stereotype of Africa “Asking and Never Giving” at the Civic Center in Silver Spring, M.D. (20 minutes outside of D.C.). Sierra Leone, among other African Countries, have millions of inhabitants that have no reliable access to pure and clean drinking water. Clean water should not be a luxury, but there are millions that are dying every year. Not only in Sierra Leon, you can see this issue taking place right here in the states in Flint, Michigan for example. Over half of the population does not have a protected water source that is safe for drinking. The AGBI team put together an event with the purpose of highlighting the importance of shedding light on the water crisis currently taking place in Africa. Troy Massa (creative director), Marie Love (vice chair), and Unamsil Jalloh (vice president) had a vision of bringing forth a fashinable and fun event inspired by a mission of giving back. With a few minor hiccups and bumps along the way, their vision was carried out. The lasting impact being the money that was donated, throughout the event. Making an effort to provide clean water to Africa is amazing. This was their Third Annual Gala and you can definitely look forward to possibly attending next year. As ambitious as their past causes were, “Water is Life” takes AGBI to a new level. Africa Gives Back International proudly boasts of a medical supply stockpile for rural village clinics in West Africa provided by them during their previous charitabal events. In the past they’ve used the proceeds from their first gala to contribute after the Ebola epidemic. In order to honor their vision of bringing wellness, education and empowerment, they distributed over 8,000 books to 6 different countries. Taking it one notch higher this year’s proceeds will go towards building wells in Sierra Leone. AGBI plans to partner with the communities in the country they choose to support charitably in order to keep everything local. Members from the community of Sierra Leone will be helping to build wells as well as in charge of upkeep. Returning the power back to the hands of the villagers is indeed a step closer to reaching the goal of ending the global water crisis.